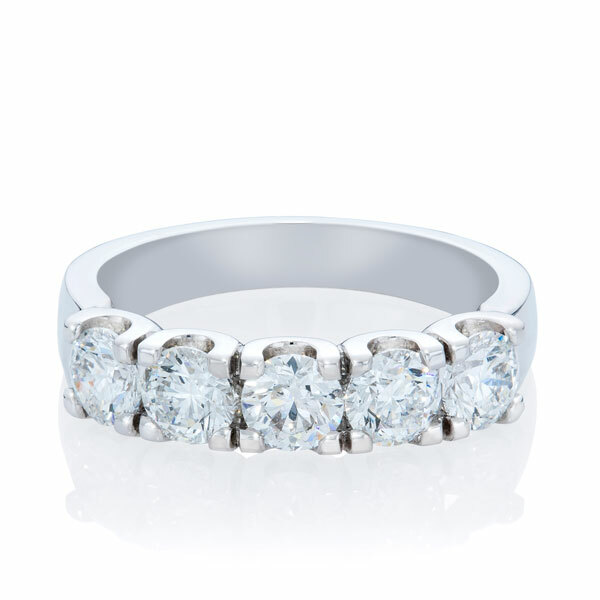 This classic style diamond ring is fashioned in 18ct White gold. The five diamonds have a total weight of 1.22cts G/SI1. Also available in 18ct Yellow gold, Rose gold & Platinum.